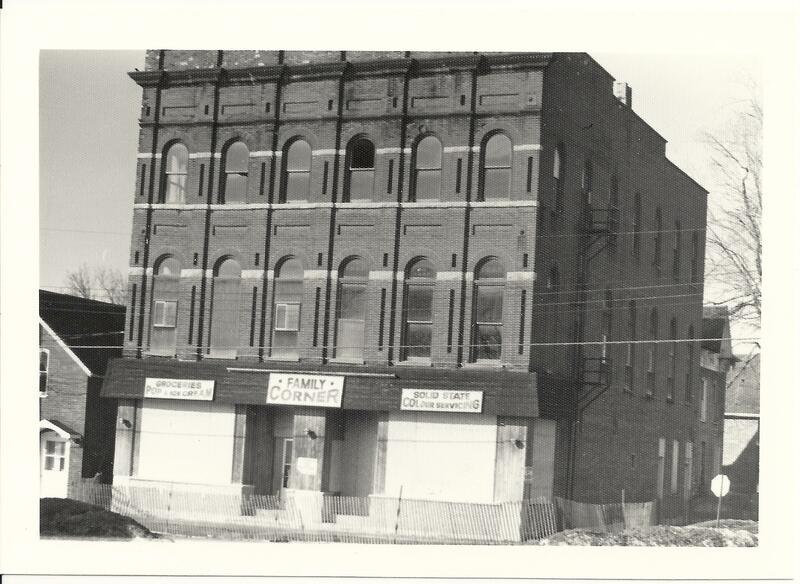 Photograph of the former Colp Block on the southwest corner of St. George and Edmon Streets in Deseronto, Ontario. The building was torn down in the early 1980s. Signs on the first floor of the building read "Groceries Pop & Ice Cream", "Family Corner" and "Solid State Colour Servicing". Actually, was located on southwest corner of the streets named and house to the south is still occupied. [https://www.flickr.com/photos/[email protected]] Thanks! Have updated the description accordingly. Awesome collection with hours of enjoyment!